For the second consecutive year, THE PLAYERS served as the presenting sponsor of the PGA Tour’s Mosaic Group’s Training U: Sports & Business Education Forum. 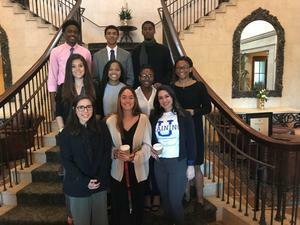 The purpose was to teach minority high school students about job opportunities available in the sports industry and give them an opportunity to network with company representatives and college recruiters. 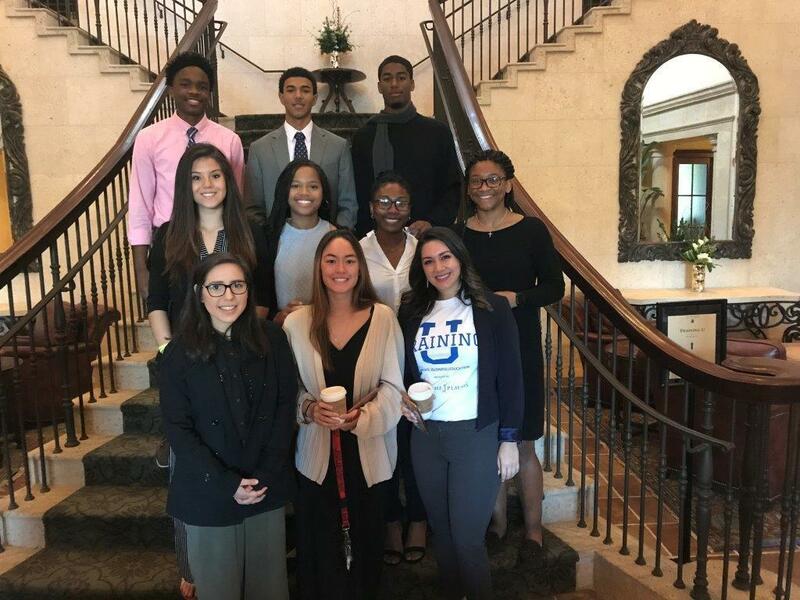 Bishop Kenny was fortunate to have nine students attend the event. Junior, Malik Young, a shortstop on the varsity baseball team was excited to be a part of the forum of students. He said, “The big take away for me was that no matter what happens in my life, I need to persevere and focus on the positive and keep moving forward.” His goal it to play college level baseball and get a degree in Sports Management. Approximately 200 students from Duval and St. Johns Counties heard from industry leaders during a panel discussion on Tuesday, January 29. They were able to interact with 16 companies and 11 colleges during the networking session. In addition, Marcus Pollard, Director of Player Development & Youth Football at the Jacksonville Jaguars, and Lakesha Burton, Executive Director of the Police Athletic League (PAL) and Assistant Chief of the Jacksonville Sheriff’s Office (JSO), led breakout sessions for the students.